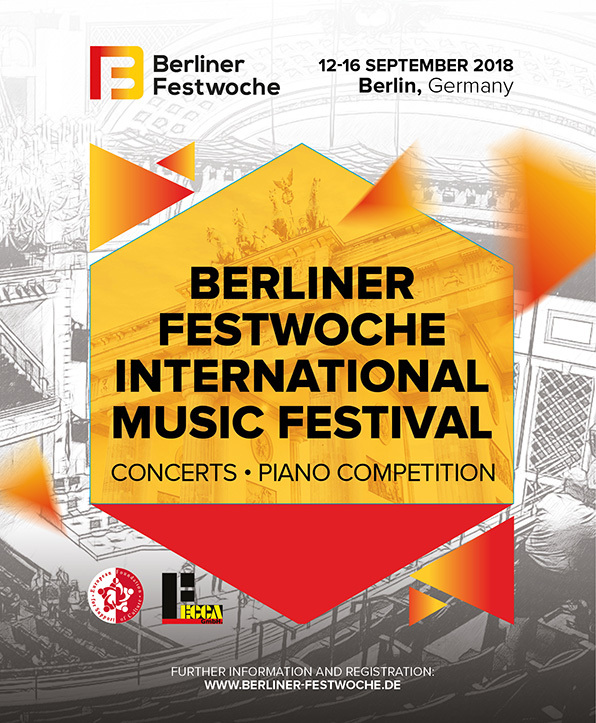 The European Foundation for Support of Culture, together with the European Center of Culture and Arts, have organised the Berliner Festwoche music festival and piano competition, which was held in Berlin, Germany, from 12 to 16 September. The diversity of cultural events in Berlin is beyond imagination. This city is not only an incubator of new ideas and trends, but also an attractive destination for those who are seeking new impressions. The leading professors of music schools had come to Berlin to participate in the jury of the competition; they have carefully selected young pianists. Within the festival, most famous venues of the city have housed a series of concerts by world stars of classical music. The place of Artistic Director of the festival belongs, like last year, to Henri Sigfridson, professor of the Essen Folkwang University of the Arts, winner of the Zurich Geza Anda Piano Competition in 2000 and the Beethoven International Piano Competition in 2005. The repertoire for competitors included compositions by Haydn, Mozart and Beethoven. Works of contemporary Maltese composers also was a part of the compulsory programme.